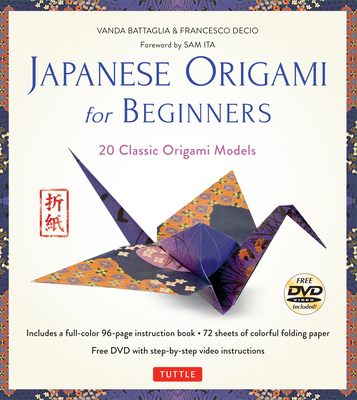 Japanese Origami for Beginners Kit: 20 Classic Origami Models: Kit with 96-Page Origami Book, 72 High-Quality Origami Papers and Instructional DVD: Great for Kids and Adults! New. 0804845433 Brand New! Not Overstocks or Low Quality Book Club Editions! Direct From the Publisher! We're not a giant, faceless warehouse organization! We're a small town bookstore that loves books and loves it's customers! Buy from us and you get great service as well as a great price! Your business is valued and your satisfaction is guaranteed!